Exploring the alluring fjords on a Norwegian cruise - FBI Travel - Holiday Tailored holidays - luxury travel - holiday packages - club med - cruises. At FBI Travel, we’ve worked hard to build comprehensive industry relationships around the globe that arm us with expertise, flexibility and control. 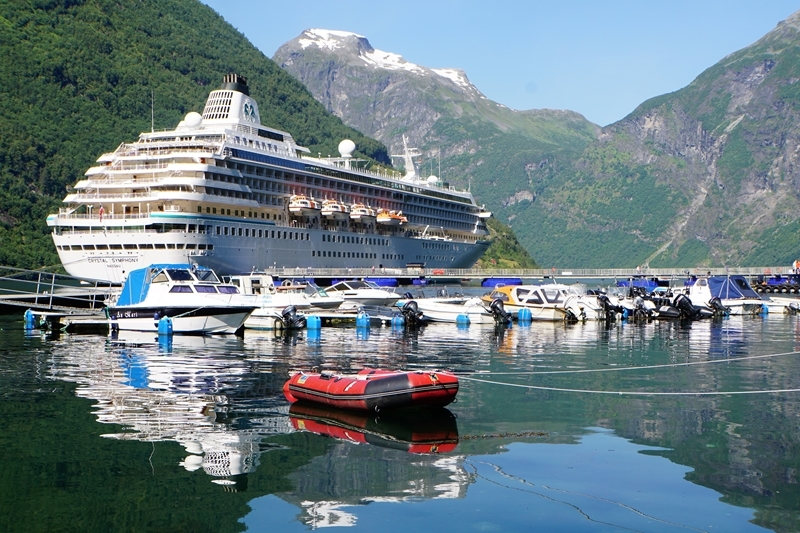 Enjoy the beauty of Norway on a cruise! 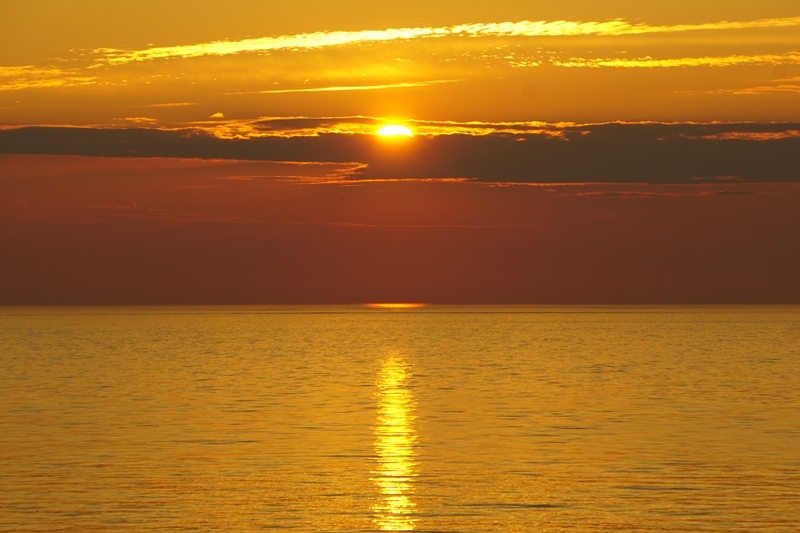 Can you imagine the sun setting at midnight, only for it to rise again half an hour later? No, this isn't the plot to a science fiction movie, but a unique reality of being located near the Earth's poles like Scandinavian nations such as Norway are. Of course, near 24-hour sunshine isn't the only amazing aspect of visiting Norway. Its towering mountains, deep coastal fjords, vast glaciers and historic towns offer some of the best photography opportunities in the world. So, what's the ideal way to see Norway up close and personal? For FBI Travel Manager Deborah Hilton, the answer is a cruise! As Norway's geography requires long drives up and down the country, cruising provides a relaxing and enjoyable alternative - allowing you to visit spectacular natural locations off the beaten track and away from the regular tourism hubs. 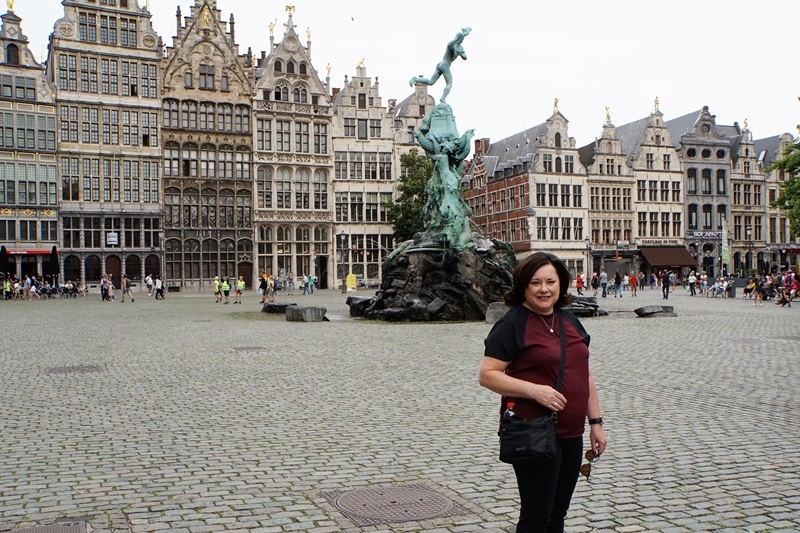 In July 2017, Deborah and her husband joined Crystal Cruises' North Cape Discovery voyage - an 18-day cruise starting from the Norwegian capital Oslo which ventures north up the coast towards the Arctic Circle before heading south to the Belgian port city of Antwerp. While many cruises have the odd in-port stop, the North Cape Discovery cruise certainly goes above and beyond. With almost as many in-port stops as days on-board, the scenery and environment is constantly changing, getting you closer to the many smaller Norwegian towns while also checking out all the natural beauty up and down the coastline. Over several years, Deborah has been on many cruises around the world, yet she would rate this particular voyage as one of the best. So, what were some of the highlights? Featuring two of the three longest fjords in the world (the Hardangerfjord and the Sognefjord), Norway's coastline is rugged and wild with at least 1,190 different fjords, locked by giant glacial fronts and walls of forest. Travelling up and down the many fjords is like being transported to another planet, unique fauna and flora found nowhere else. "The scenery was absolutely spectacular, and it was lucky that the weather was perfect for 18 days - making life on the ship beautiful," Deborah said. For Deborah, one fjord that stands out in her mind was the Geirangerfjord, located in the Sunnmøre region. The UNESCO-protected fjord is surrounded by snow-covered mountains, with waterfalls and lush vegetation lining the walls. 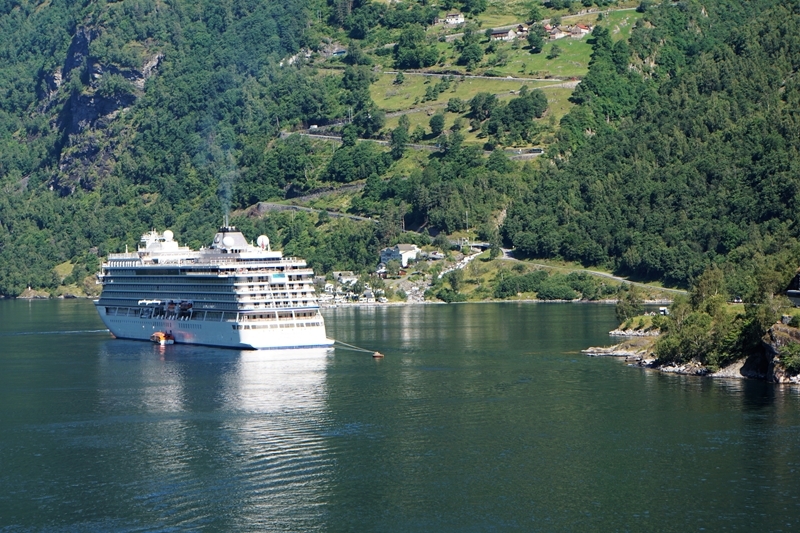 Travelling on a ship through Geirangerfjord is an experience in itself – a vista that you simply can't imagine. "With the fabulous summer weather and the crisp clean air, you could see for miles up the fjord. Of course, you could also see the fog rolling over the hills and the unique cloud formations – something that is really special," she said. 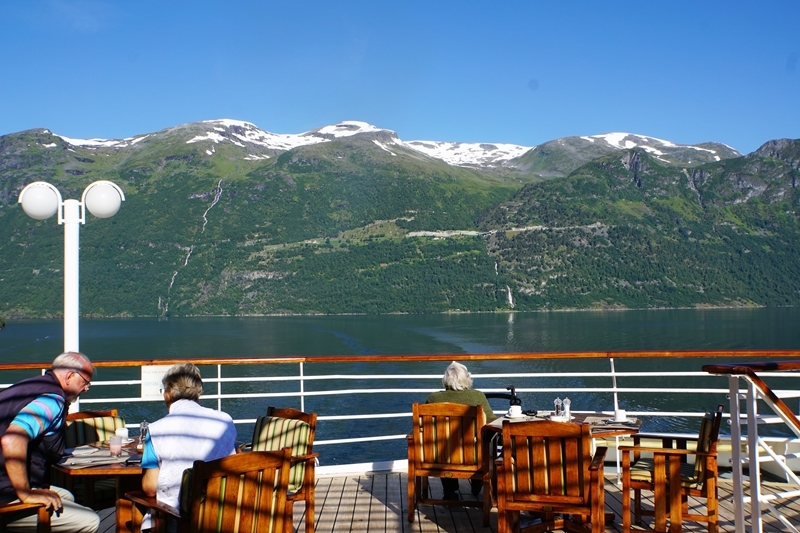 "This cruise is all about the scenery and Geirangerfjord is the perfect example." Another major part of the North Cape Discovery is the frequency of stops along the Norwegian coast. While many have the common themes of fjords and fishing, each has its own personality and Deborah explained that you can experience this during your visit and meet some of the locals. 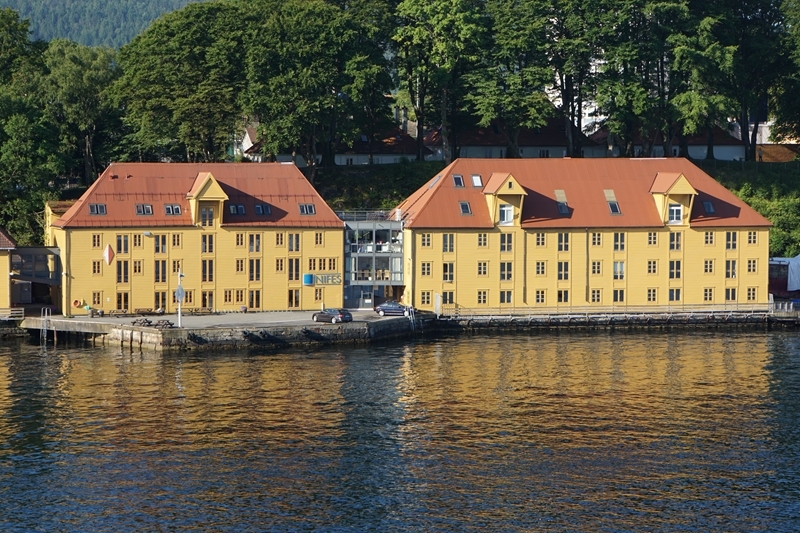 A good example is Bergen, one of Europe's oldest settlements that dates back to Viking times. The city is famous for the Bryggen Hanseatic Wharf which was once the home of the Hanseatic League's trading empire. 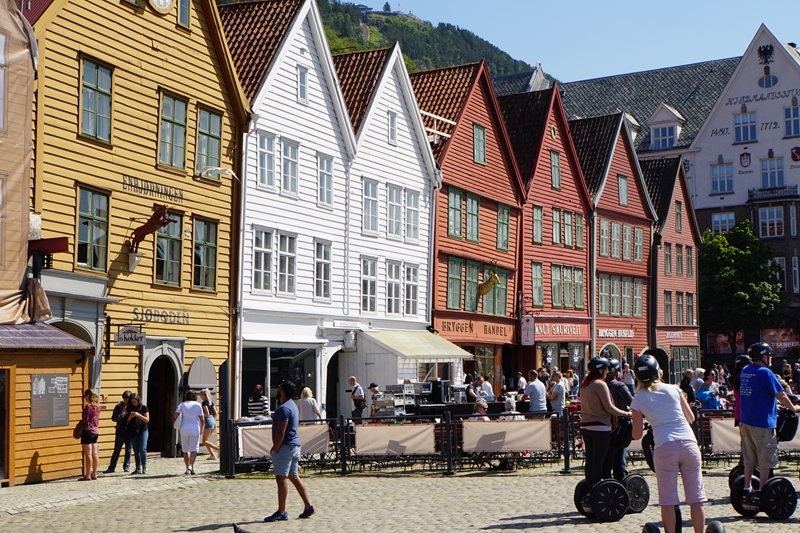 Now, the wharf is lined with colourful buildings that stand out among the tall peaks that surround Bergen. "There's just so much history in Bergen and it was a real poignant part of the trip to explore Bergen in more detail," Deborah explained. For the best view in Bergen, take the six-minute funicular ride from the city centre up Mount Floyen. If you have time, you can have a picnic at the top, go on a short walk or even try out mountain biking! Deborah said many of the stops along the North Cape Discovery cruise can be described as "walking cities", making it possible to explore the main sights in a few hours. If time is against you, however, join a cruise walking tour to see the best points. With the close to 24-hour sunlight, you might think that getting sleep on the Crystal Symphony would be difficult. However, with each room having blackout curtains and much of the cruise shutting down as it would if it was dark, Deborah said you soon get used to the phenomenon. In fact, Deborah recommends that cruise passengers choose a room with a verandah for this very purpose. As well as being able to have a front-row view of all the fjords, you can enjoy the midnight sun in all its glory - something that could be a once-in-a-lifetime experience. During the (normal) daylight hours, there is a strong focus on enrichment onboard. As the North Cape Discovery cruise is a once-a-year trip, it attracts some of the best and brightest lecturers and researchers from around the world. 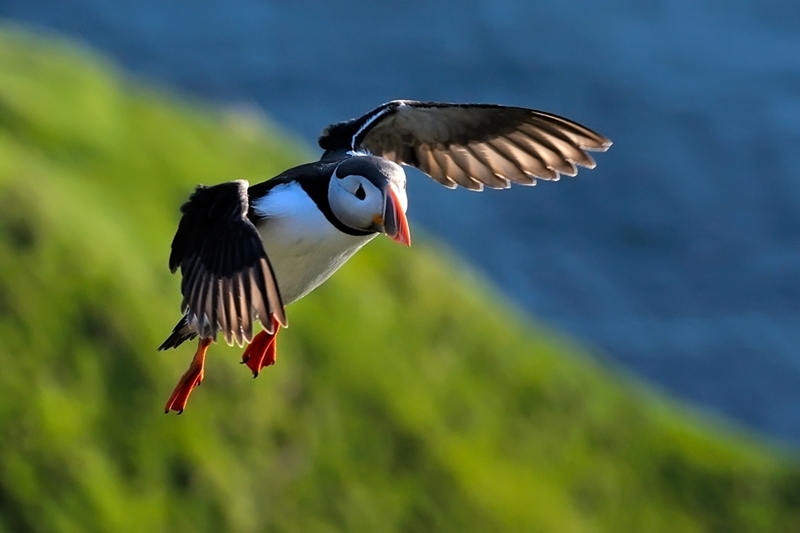 Covering everything from Norwegian geography and wildlife to the different ports along the voyage - you're learning as much as you're on holiday. For Deborah, this part of the cruise really shone. "The day before you arrive at a port, there are lectures about the next stop. It might only be 30 minutes, but they're incredibly in-depth and you really learn about the region," she said. "I know my husband loves these enrichment classes and this is why we went on this particular one." Of course, the Crystal Symphony also has a range of entertainment including singers, production shows and even light/dance shows. Deborah and her husband enjoyed Rocket Man: A Tribute to Elton John starring Neil Lockwood as well as a range of other shows over the almost three weeks at sea. Interested in the North Cape Discovery in 2018? As FBI Travel is a member of Virtuoso, we're able to provide exclusive deals for Crystal Cruises departing this year. From conducting group departures and escorts from Virtuoso ship-board credits, we can ensure your Norwegian cruise is as amazing as you dream it to be. Our Travel Managers can also help to plan further bookings either prior to the cruise in Oslo or afterwards in Antwerp. If you would like more information about the North Cape Discovery, get in touch with your trusted FBI Travel Advisor today on 1800 359 324.